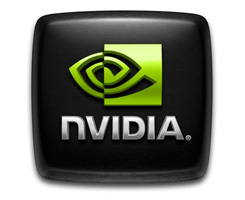 Mike Rayfield, general manager of mobile solutions at NVIDIA in an interview with Hexus, revealed that Maxwell (future generation IC) will be the company's first product using Project Denver. The 22nm Maxwell GPU is expected to be released in 2013, it promises big gains in computing power as well as new features that make it less dependent on the CPU. Lastly we asked about Project Denver: the surprising announcement that NVIDIA will be designing a CPU in partnership with ARM, with a view to using it in high-end computers. We asked Rayfield to elaborate. "As well as licensing Cortex A15, we also have an architectural license with ARM to produce an extremely high performance ARM CPU, which be combined with NVIDA GPUs for super-computing," he said. When we asked for timescales, Rayfield revealed: "The Maxwell generation will be the first end-product using Project Denver. This is a far greater resource investment for us than just licensing a design."